Now through January 14, 2013 we have access to the Churchill Archive. 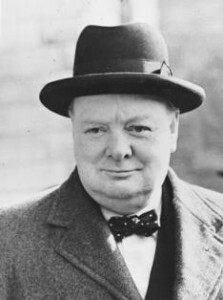 The Churchill Archive includes more than 800,000 pages of original documents, produced between 1874 and 1965, ranging from Winston S. Churchill’s personal correspondence to his official exchanges with kings, presidents, politicians, and military leaders. Find this and other trials at http://go.middlebury.edu/trials (go/trials). Contact your area liaison with comments and feedback. This entry was posted in LIS Staff Interest and tagged library collections, Library Spotlight, trials, trials FY 2013 on October 31, 2012 by Lisa McLaughlin.